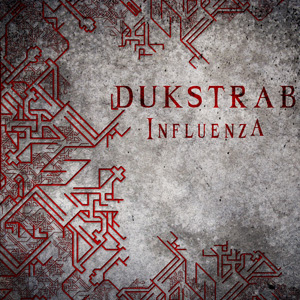 Label Synth-Me and portal Greasp.com introduce the debut album "Influenza" of Russian electroindustrial project Dukstrab. This project was launched by DJ Adept having realized some tracks do not correspond to the core concept of his main group Anthracitic Moths. Due to severe mechanical beats, psychedelic melodies and brave improvisations in styles, Dukstrab's taking part in several compilations and participation in thematic parties arouse lively interest of the audience. "Influenza" combines dancing and marching rhythms capturing your body with sophisticated tunes taking possession of your mind. Release also contains remixes by P01Z0N (Belarus) and DeZtructor. Synth ur life!.